One… Two… Three! I am weightless and then suddenly engulfed. A shock runs from my toes to my head, exiting through each strand of my blond hair. I am ensconced in an emerald paradise, feeling more alive than I ever thought possible. I emerge from the Adriatic, happy screams escaping me, echoed by the shrieks from Maggie, a smile so big across her face that I am certain she had the same invigorating experience. I tread water and allow my breath to come back, for my racing heart to slowly fall into rhythm. I am surrounded by the dark, rich and crystal clear water of the Adriatic, stretching as far as the eye can see to one side and lapping gently into centuries-old rocks on the other. To my right the Old Town of Rovinj appears, boats pulling into port slowly while an assortment of people sip wine and enjoy an al fresco lunch on the rocks. To call the scene idyllic would be an understatement. I had been struggling to find the words to best describe this incredible place ever since we had arrived, just 24 hours earlier. A scenic two hour drive from Ljubljana, the capitol city of Slovenia (more on that amazing locale in a future post), had brought us to Rovinj. It stormed the entire way, sheets of rain blurring the lush green landscapes that spread out before us. Our directions took us over the border into Croatia and deposited us at the entrance of Rovinj’s Old Town. Formerly part of the Venetian Empire, this walled peninsula is a pedestrian wonderland and I was ecstatic to call it home for the next week. When we told everyone where we were traveling, their first response was always the same: “Croatia? 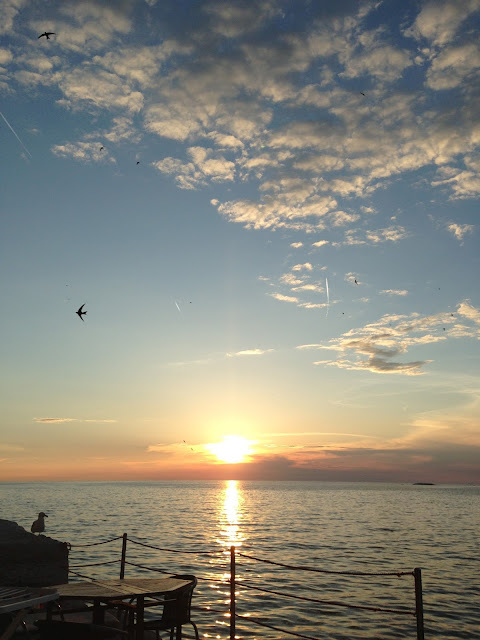 Why Croatia?” As I looked out at the cobbled streets of the Old Town toward the harbor, the seagulls gliding above, the small black sparrows darting over the fishing boats making their way home for the day, I knew I had my answer. Why Croatia? I couldn’t think of a better reason than what laid before me. 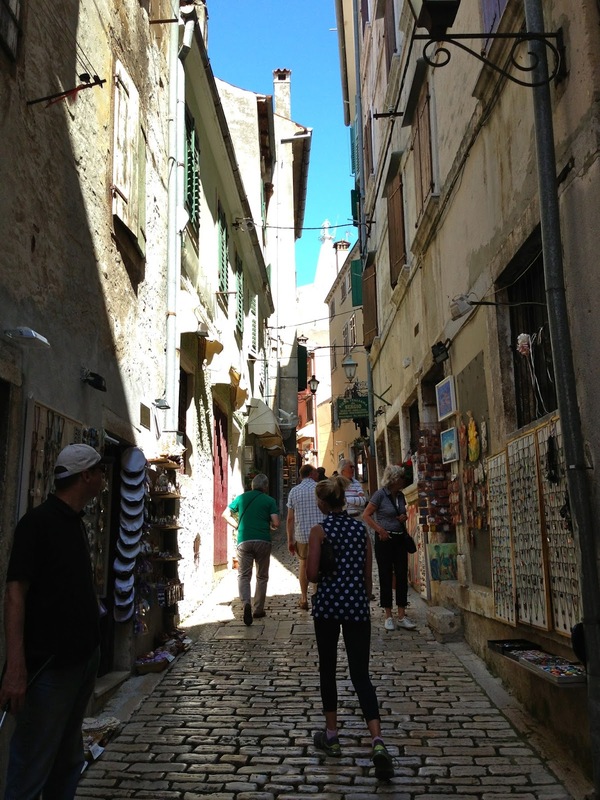 Once we had selected Rovinj as our 2013 destination, the hunt for the ideal home-away-from-home was on. After weeks of google searching and number crunching, I had found an apartment that promised to be directly on the sea, built in the 1700’s and fully refurbished, all while remaining within our budget. The days leading up to our departure, Z had taken on the mantra “low expectations, low expectations” and I found myself repeating these words in my head as we met Karmen, our Landlord. I held my breath as Karmen turned the key in the lock. The door swung open and we entered a cozy living space, a large dining table and kitchen making up the perfectly adorable room. Karmen unlatched the heavy wooden shutters covering three large windows and they swung open, the sun pouring in. 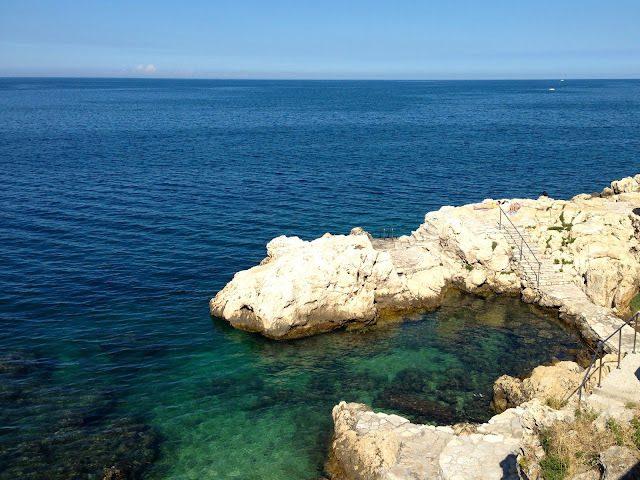 And there it was – the Adriatic Sea. Just as promised. I felt myself finally, finally relax. It was perfect. I was joined by a lively cast of characters for this Balkan adventure. Our foodie-friends Benton and Maggie made the trek with us, having found that we were kindred spirits in travel during our time in Barcelona the year prior. My sister met us in Rovinj as well, declaring Croatia a much more appealing locale for her triathlon training than cool and rainy Edinburgh, Scotland, where she currently makes her home. Dusk was just beginning to take hold of the city when we settled into our apartment that first night and we all made a quick show of showering and moving on to dinner, afraid of resting too much and allowing jet lag to rear it’s ugly head. We had reservations at La Puntulina, a restaurant suspended over the water and known for it’s fresh-off-the-boat seafood. We were all a bit travel-weary and La Puntulina was only a few blissful steps from our apartment. We feasted that night, nourishing ourselves with shrimp, marinated anchovies, smoked salmon and the most succulent and tender stewed octopus you could ever imagine. I had been most looking forward to trying the traditional pasta of Istria, fresh dough that has been rolled into small logs, slightly thick and undeniably handmade. Tossed with a scampi and fresh tomato sauce, I felt content. We took the short walk home slowly and bid goodnight, the windows open and the light lapping of the Adriatic against the stone wall rocking us to sleep. Morning came and it was time to see Rovinj and gain our lay of the land. The daily market was a must see for me, for obvious reasons, and we started there, Z armed with a walking guide to the Old Town. It’s really quite a small place, the Old Town of Rovinj, all of the cobblestone roads leading either straight to the main square and old harbor or steeply upward, taking you to the Church of St. Euphemia, an iconic symbol of Rovinj. Along the way, winged lions dot the landscape, appearing atop buildings and carved into walls, a silent reminder of the city’s former ruling under the Venetian Empire, the winged lion being a classic symbol of Venice. Venice is, in fact, just a three hour boat ride west, almost a direct shot from the coast of Rovinj. If you climb to the top of the St. Euphemia clock tower on a clear day they say you will find Venice just at the edge of the horizon, a dot on the landscape of the spectacular view. We decided to take our walk upwards and made our way along the narrow and steep street heading toward the church. A multitude of shops sit shoulder-to-shoulder, locals selling a variety of their handmade wares. 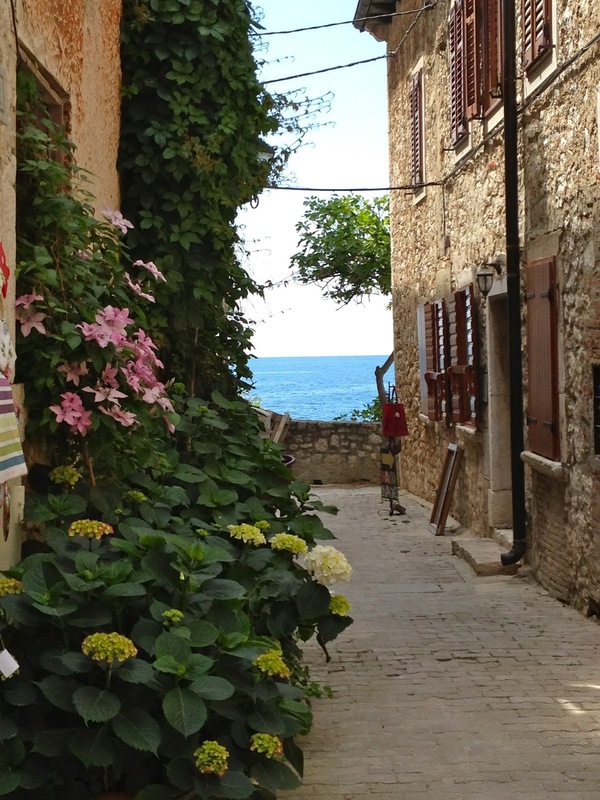 Jewelry, small wooden carvings and paintings add color to the stone walls, the random and typical souvenir shop popping up along the way, reminding you that this is a town routed in tourism and we are headed to the number one ‘must see’ spot in Rovinj. We take a few minutes to duck into a quaint courtyard full of antiques. Old chandeliers hang from the trees, a collection of vintage irons blanket a table and an old dog peacefully keeps watch over his owner’s livelihood. It has a whimsical feel and I would recommend a stop to anyone wandering this famous path. We approach the base of the church and walk toward the front entrance, a large open space giving way to picture perfect views of the Adriatic. We hear singing and are reminded that it is Sunday and there is a service taking place. We peak our heads through the entrance and take in the majesty of this ornate, centuries old building. The sun is now high in the sky and we are getting hungry. We set about finding a water-side lunch spot and decide to head to the beach for a post-lunch nap. And so begins our first full day in Rovinj, a day that ends up mirroring the rest of our time in this magical town: eating, drinking and lounging, all of which is done by the sea. The beaches of Rovinj are not your typical white sand variety. Like it’s former ruler Venice, Rovinj appears to have grown up directly from the water, as if the power of this beautiful sea was enough to create an entire city. Massive rocks grow vertically and homes and restaurants are built directly into the walls. Here, sitting by the sea means lounging on the rocks, ladders leading into the water for when the sun is just too much. Looking out at the sailboats dotting the horizon there is a sense of the medieval, the Adriatic and the rock walls we are perched upon holding secrets from centuries past. When we are not at the beach we are laying out on our porch, sipping Istrian sparkling wine, reading and laughing until our sides hurt, the type of laughter that can only come from carefree souls. Our porch was, without question, my favorite part of our time in Rovinj. Complete with a table and five chairs, there was only six feet between us and a direct drop-off into the Adriatic. To the left of our table the stone was carved into steps, leading you directly into the sea for an invigorating, hangover-curing dip or, for Allison, a perfect place for open-water swim training. We watched the sun set nearly every night from our porch, the fishing boats pulling into port the only obstruction to our view. We could sit and eat truffle-laden cheese, drink the local Teran wine and sample prsut, the ham of Istria, all with this incredible view. No need to be out and about constantly, taking in every site, sound and shop. We weren’t missing a thing. We had everything we could ever want. Having a kitchen allowed Maggie and I to flex our foodie muscles, which we wasted no time doing on our very first morning, crafting an omelet made from local eggs and studded with truffles, fresh garlic scapes, local squash blossoms and peppery rocket (or arugula, as we know it). It felt so luxurious, almost sinful, how accessible truffles were. They are on every menu at every restaurant, a staple of the Istrian kitchen and used in abundance. We made sure to not go one day without eating truffles, finding no shame in how spoiled we were during this time. When we weren’t using whole truffles, we would slather truffle paste in a pan with butter and saute it with vegetables, drizzle the oil from the preserved truffles onto our potatoes or blend it with our scrambled eggs. Every time we opened a jar the smell of this revered mushroom would fill the room, a smell I will forever associate with Rovinj and the Adriatic Sea. While we did cook in often and Maggie and I created a fantastic meal of fresh shrimp, sauteed mushrooms and boiled potatoes with truffle oil, we made sure not to miss out on the culinary expertise of Rovinj’s Chefs, and planned ahead for our dinners at La Puntulina, Masera and Monte. Masera was outside of the Old Town, in a more suburban area of Rovinj and part of a tennis club for locals. Not somewhere I would have ever thought to go but a recommendation from our new friend and local wine expert Goran (more on our wine adventures with Goran in a future post) brought us to Masera, where the ingredients are sourced locally and traditional dishes and cooking methods are embraced, all with a finer touch. We asked our waiter to take control and he proved to be an ideal guide as we sampled sea bass carpaccio, black cuttlefish risotto, tagliatelle with truffles (some of the best pasta I have ever had) and the catch of the day – a whole fish grilled and filleted table-side. We paired Istrian wines with our meal and took a cab back to the old town, somehow finding room for gelato on the walk toward home. Our dinner at Monte proved to be more than just a meal and was the perfect choice for one of our last nights in this magical Adriatic town. Sitting off of a small side street at the base of the St. Euphemia Church, Monte seems non-descript at first, until you approach the massive wooden door, a large, singular piece of multi-colored wood curving from the top of the door-frame to the bottom, acting as the handle. The dining room of Monte is intimate and inviting, one long wall left open, a trellis stretching overhead with trees and greenery climbing about, bringing the outside in. It sets the scene for the playful, artful and highly delicious adventure of a meal we are about to embark on, as we select the ‘Tendence’ menu, a multi-course story that takes nearly four hours to play out. Every course is both a tribute to the land and the sea, those things that make Istria, Istria. 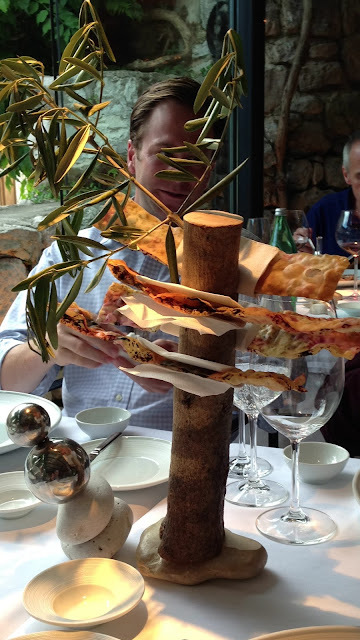 Our initial amuse-bouche is delivered by an olive tree, slits in the olive-wood holding crispy layers of phyllo dough encasing a spread of herbs and garlic. A highlight of the meal is our first official course, a semicrudo of tuna, scampi and pilgrim scallop set atop a slice of green apple and a sprig of rosemary, a paper-thin sheet of pancetta draped over top. The tuna, shrimp and scallop are each resting upon a rock and in a shallow tray of seashells. The dish is finished table-side, our waiter lighting a small torch over the raw display, cooking each jewel-of-the-sea just so, toasting the pancetta and releasing the aromas of the rosemary. Our utensils for this dish are flat metal picks, presented to us in a sea-sponge. Each bite is an example of masterful balancing of flavors, the scallop our unanimous favorite. I have never tasted something so naturally sweet. Other highlights of our multi-sensory Monte experience included the quail, served with a flan of liver, apricot and an ethereal puree, the suckling pig over lentils with pancetta, pork rind and paprika foam, and the chocolate sponge cake dessert, a disk of white chocolate covering a dish of chocolate sponge cake, and fennel ice cream. 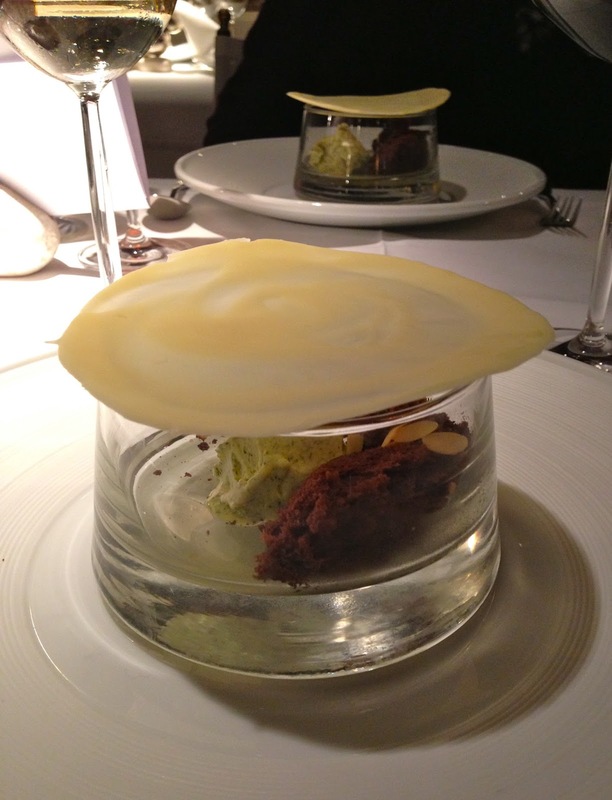 Piping hot molten chocolate is poured over the white chocolate cover, melting it directly into the bowl, the warm chocolates pooling together, dousing the sponge cake and melting the fennel ice cream just so. The touch of magic at Monte was symbolic of our entire experience in Rovinj. It isn’t hard to go back in time here, to escape the trappings of our modern world and to pretend, even if just for a while, that you are looking through a telescope of how things used to be, of a time when travel was made by foot or by ship. When the only food available was what you could catch, your only wine that which you created in your own backyard. On our final day in Rovinj I sat alone on our porch, sipping a glass of Teran, my bare legs dangling over the edge of the rocks. Dusk was setting in and the sun was dropping toward the sea, like a yolk breaking slowly over a rich and salty soup. I felt as if I were sitting at the edge of the world, the rocks beneath me born directly from the water and, at that moment, it seemed impossible that I would ever have to leave this place: Rovinj and the magical, mystical, Adriatic Sea. You have outdone yourself foodie girl. I love this post. Thank you for sharing your wonderful foodie trips with me and the world! Croatia is a true untouched gem. I know it's gauche to ask, but how much was your Monte menu? 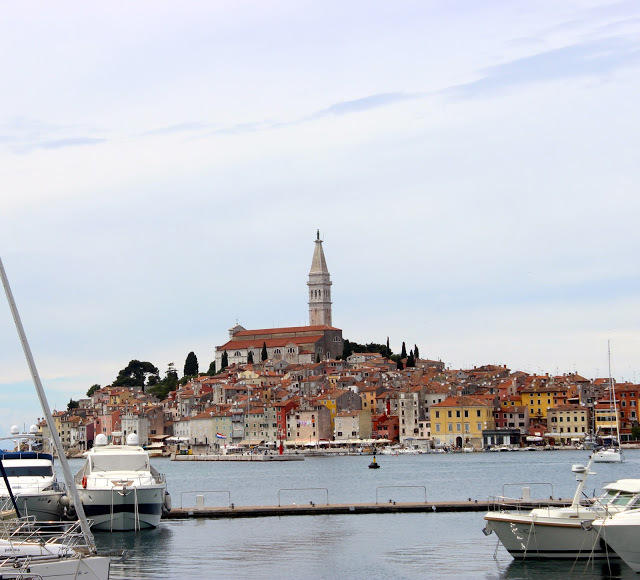 You will love Rovinj! I read that September is a wonderful month to visit as well – enjoy! Monte's 7-course (more like 12!) tasting menu was around 500 or 600 kuna. With drinks and tip this equated to around $175 USD each. A splurge but well worth it! They also offer an a la carte menu and a smaller tasting menu, so this is the high end of the spectrum. Safe travels and enjoy Croatia! I loved your story and found it while looking for info on Rovinj as we are going there in September for the first time. Can you give em details of the lovely apartment you stayed in as it looks wonderful. Hello Lynn! Thank you so much for your note – I am so glad you enjoyed my post! Rovinj is truly magical. I can't say enough and you will love every moment of your trip, I am sure. The link to the apartment is noted below. We stayed in Arnolongo – the three bedroom space. There is also a one bedroom apartment on the lower level. Safe travels and enjoy! in Croatia.What an astonishing report. I can't wait to experience the Balkan's atmosphere. Hello David! What a wonderful compliment. I truly appreciate your comment and am so thrilled that you enjoyed my report on Rovinj. I wish I were perched on the edge of a rock there now, glass of Teran in hand, watching the sun set! Hi FoodGirl, I came across your site in researching Rovinj and am now hopefully booking the same apartment. Your posts are amazing. We seem to have the same travel requirements, delicious local food and wine region nearby. I had amazing travel experiences in both Valle de Uco Argentina and in the Rhone region of France as well. I can't wait to read more of your posts. Thanks for contributing to my excitement for our upcoming trip to Istria and for all the great food and wine advice. oops I meant "Foodie Girl"
Hi Sadie! 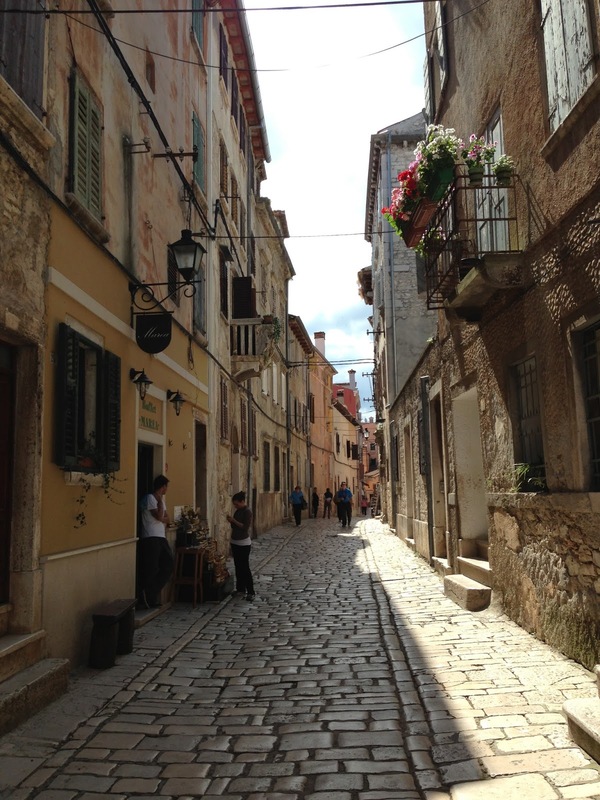 Food and wine – I can't think of better reasons to travel I'm so glad you've found this post helpful and I hope you have the same experience to remember in Istria as we did – safe travels!